Gallery is here. Band of Skulls photos here taken by Angel Ceballos in Seattle. 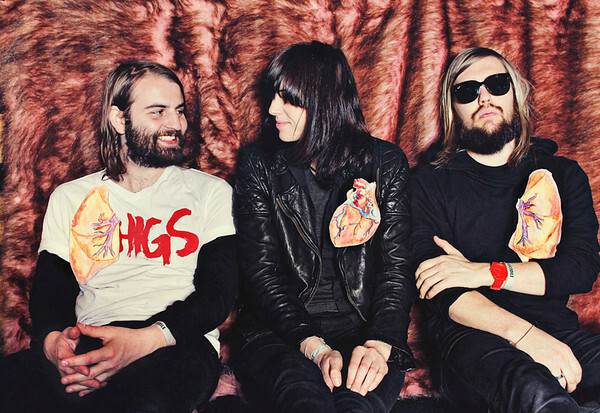 Band of Skulls are a band from Southampton, England. They formed in 2008. AL: You guys are from Southampton? Emma: It’s where the Titanic left from. AL: What else is it known for? is quite a character. He is a musician. AL: It seems like there are some other bands from there? Emma: There is The Delays. 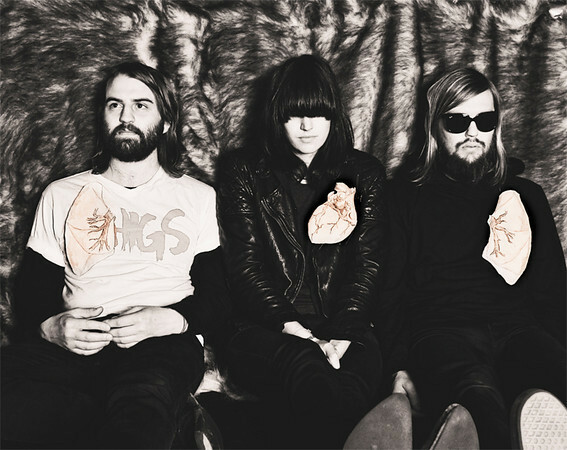 AL: How is the profile of Band of Skulls locally? Russell: We haven’t been there for a year, so it’s hard to tell. Emma: Russell lives in London now. Me and Matt still live in Southampton. AL: When did this new band and new record come about? re-think it. We aren’t totally changing it. But it was a new way for us. Russell: We weren’t doing the songs six months after the record came out. That was like an apprenticeship. We wanted to do the real band now. AL: How does the songwriting happen in the band now? Russell: We are like a team of writers. AL: As a drummer are you writing words and music too? because sometimes you don’t have that opportunity in a band. AL: How was the reaction to the new songs? were recording. We are trying out new things. like music for a rock club. Emma: As a band you have to be brave enough to have more space. confidence in what we are doing. line through everything we do. sing about how you feel. combination of musicians something else. music. The Pixies just refer to themselves. personality. It’s never a record of twelve songs that are all the same. Emma: They take risks as well. It’s not always verse/chorus, verse/chorus. AL: Do you ever slow things up, or speed things up in songs? perfect. We needed this moment. AL: It takes a while to write songs then? Emma: Some songs take a while and others happen quite quickly. nuggets, that come out being songs. AL: How many shows have you played? people have been showing up to shows more. AL: There is this label Shangri-La. There is Duke Spirit and Amazing Baby. It seems like Band of Skulls go well with those two bands. are going to do a show with The Duke Spirit. Those bands like our record. Everything seems to be going good now. confusion with our band. For us, it was always going to happen here. find this music on their own. hometown a few months ago. It was really funny. She has great energy. AL: The record came out today, July 28th. Who did this artwork? Russell: Emma did the paintings. They were altered. Emma: I painted a few bass guitars for this company. AL: You just played this Capitol Hill Block Party. How did that go? never seen them play before. AL: Are you playing any festivals? AL: When people come to shows what should they expect? Matt: We will be playing the record. We will be doing nearly every song. Some songs go well together. AL: Are there any town you look forward to seeing? Matt: We are going to Vegas. AL: I like the old part of Vegas. Matt: It will be good for one day. We will also get married there. Russell: And divorced in the same night. AL: All three of you are getting married? Matt: Just me and Russell. afraid of Emma, because they think she is a giant. AL: How tall are you? Emma; I went into the bathroom in Japan and two kids were so scared of me.